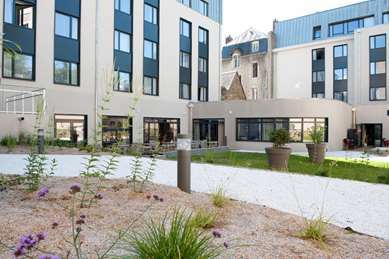 If you are looking for a budget hotel near Limoges, we recommend Hotel Première Classe Limoges-Nord, with its ideal location: - At the crossroads of highway A20 (exits 28 and 29) coming from Paris or Toulouse, and towards Poitiers, Angoulême, Périgueux or Guéret - Less than 10 minutes from downtown Limoges The Zénith de Limoges and the Parc des Expositions in the North Industrial Zone are not far from the hotel. Similarly, highway National Porcelain Museum is less than 6 miles away, as are porcelain factories and numerous shops. Discover Limoges, a city historically renowned for its porcelain, and Oradour-sur-Glane, a martyr village with its Centre de la Mémoire war crimes memorial center, located less than 20 miles from our hotel. 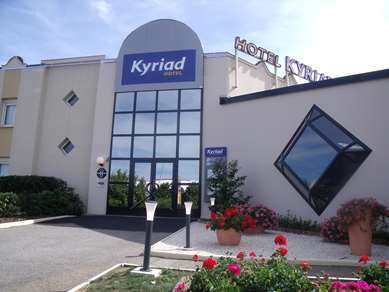 For your convenience, Première Classe Limoges-Nord hotel offers free parking. Check out our special offers to find the best promotion for your hotel stay. Hotel Première Classe is on your smartphone with HotelForYou, one of the best apps you can use to reserve your budget hotel directly from your iPhone or Android. 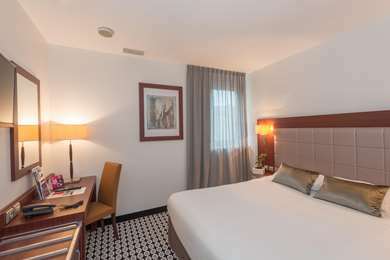 The rooms at Hotel Première Classe Limoges-Nord hotel offer all the necessary amenities for a pleasant and productive stay. The hotel has 70 cozy and comfortable rooms for 1, 2 or 3 people. We have a double room equipped to accommodate people with reduced mobility (to be specified when booking). All rooms are equipped with private bathrooms, with shower and toilet. 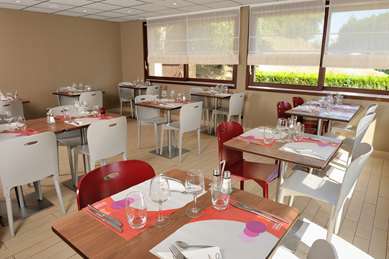 You will have a desk, a flat-screen TV and built-in alarm clock, and free unlimited access to the hotel Wi-Fi network. • Confectionery, biscuits, cold and hot drinks dispensers. • Night watchman (only Friday, Saturday, Sunday). Initially had difficulty with the automatic check in, but went to reception and got check in completed (we needed to pay a 40 cent city tax on arrival). Rooms are basic, but they have an en-suite and air conditioning. The rooms were also supplied with earplugs as it is quite close to the motorway, a nice touch for a better night of sleep. Bed was comfortable, very little noise from neighbouring rooms. A pleasant stay. A disabled person visits – Limoges. This was the first time that I had used a Première Classe Hotel. I was very pleasantly surprised. The wetroom style bathroom was ideal for a wheelchair user. The room was clean and neat and tidy – and good value. A little way out Limoges, but an easy trip via the motorway. I stayed here on a drive down to Spain. Location is perfect, right next to the A20 motorway (but very little noise overnight) and within easy walking distance of a number of restaurants. The room was basic, as expected, but clean and perfectly acceptable for a one-night stay. Reception was closed when I arrived, but check-in via the cashpoint-type machine outside was very easy, especially as you can switch it into English! The bed was surprisingly comfy too...then again, I'd just ridden 300+ miles on my bike, so would probably have slept well on the floor! You have kept a very good memory of your stay in our hotel and we are very happy. We thank you for your compliments. Our goal is to give full satisfaction to the expectations of our customers. Thank you and see you soon for your next stop in Limoges.